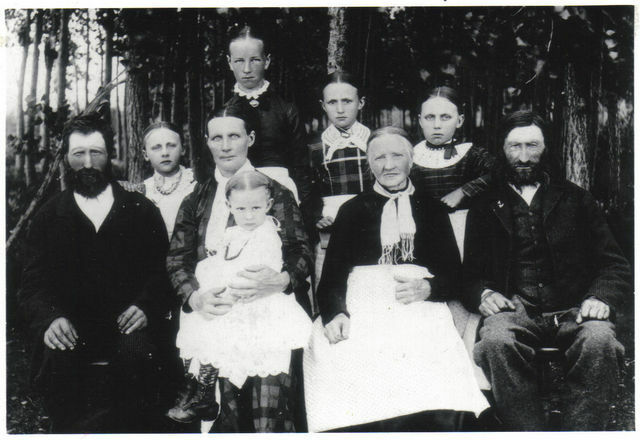 (From left) John Kirkvold, Ingeborg Olsdatter Refset Kirkvold, Dordi Pedersdatter Fjetsethaug Kirkvold, Hans Kirkvold. Photo taken near Hendricks, Minnesota. This is Singsaas Lutheran Church in Singsaas, Norway. 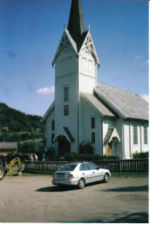 The Singsaas Lutheran Church by Hendricks is a replica of this church that our ancestors attended. Photo by Kenny and Lila Mae Kirkvold.